The Park is difficult to access via public transport. The nearest bus stop is 2 miles away on Burford High Street, so you would need to get a taxi from there to the Park. We live an hour away so rarely have any need to stay. Recently (March 2018) however, my parents invested in a new motorhome. They checked into the Burford Camping and Caravan site. It is conveniently located just over the road from the park. It has a well stocked shop and fish and chips are delivered on a Friday night. The facilities were clean and the staff very friendly. 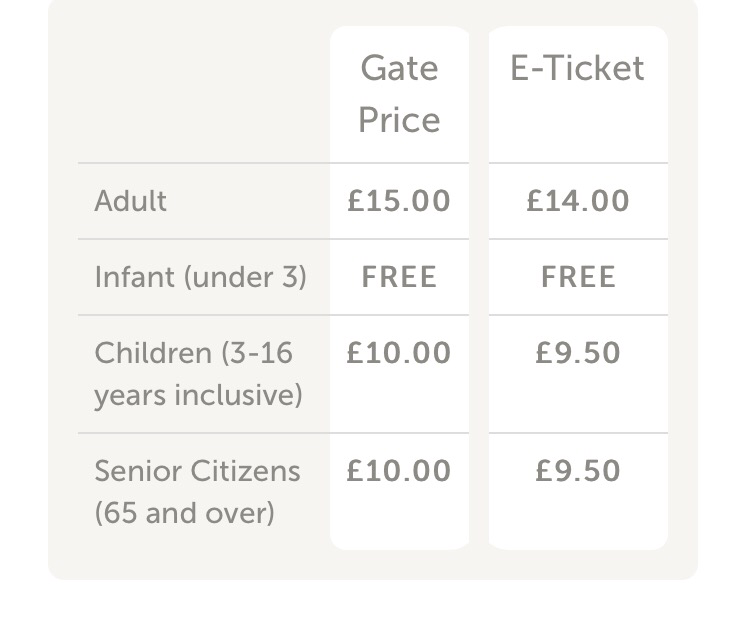 It’s worth noting that it offers a reduction on ticket prices. Parking is free for visitors to the Park. There is ample disabled parking. Regulars to my blog will know that we often end up visiting a zoo when we find ourselves in a city. I blogged last year about how disappointing (and expensive) our trip to London Zoo was and how we much preferred places like Hamburg Zoo and Copenhagen Zoo. 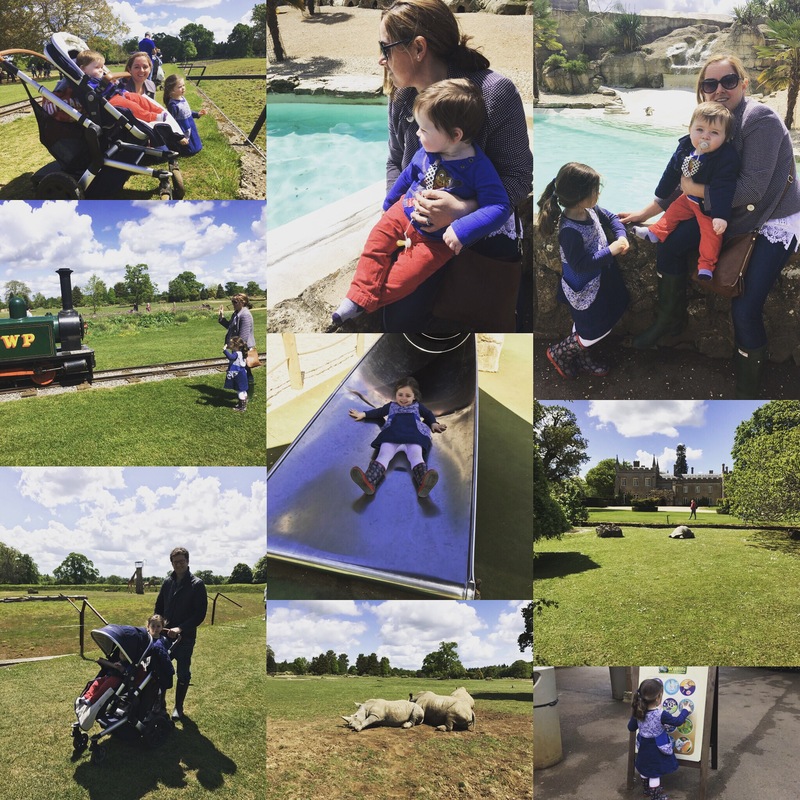 We are lucky that we don’t actually have to travel that far from home to see exotic animals in a wonderful setting at the Cotswold Wildlife Park. A slightly more expensive day out but nevertheless a firm family favourite. The park is open every day except Christmas Day between 10am and 6pm (earlier in Winter). It’s well worth booking in advance to save money on the entrance cost (you have 30 days to use your tickets once you’ve paid online). The major attraction of the wildlife park is the more exotic selection of animals – the rhinos, giraffes, lions, camels, penguins etc but there is also a small farm animal area. Unlike at London Zoo the enclosures are fully visible even for the smallest of people (so there’s very little lifting involved!). The gardens are immaculate and whilst the animals are clearly the main draw the beautiful grounds make it a very pleasant place for a stroll. There is a lovely land train (although irritatingly there is an extra cost for this!) as well as a pretty amazing play park (with something for all ages, including a coffee kiosk for us adults!) There are plenty of picnic spots (with some areas under cover) and there are no restrictions on sitting on the grass – you could, if the weather allowed it, put a blanket on the grass and eat your picnic overlooking the rhinos! It’s also worth noting that you have easy access to your car throughout your stay so you could easily leave a picnic in the car and get it when needed. If you’re visiting in the cooler months you may prefer to try out the on-site cafe/restaurant. It serves reasonable food that I think is mostly homemade (it can get really busy so arrive with plenty of time to spare!). Alternatively you could stop in nearby Burford (a quintessentially gorgeous Cotswold village) where there are a number of delicious cafes (but the town is not in walking distance!). The park is totally pram/wheelchair friendly so that makes things considerably easier but it’s worth noting that you are not allowed to bring scooters. The facilities are clean and there are plenty of baby changing facilities and a family room near the entrance to the park. All in all a great family day out and a year round option.